Counsellors are staff members who work most closely with our campers and supervise them while in camp, at meals, during activity time on the docks, and each evening in their cabins. Being a Counsellor requires many different personal and professional skills. Staff responsible for young children require a high level of maturity and “parent like” sensibilities allowing them to deal with such matters as homesickness at bedtime. Counsellors who are responsible for older children require strong communication and discipline skills. A strong understanding of the camper’s interests and preferred activities is crucial to ensuring the camper has a fun and productive time at camp. All counselling staff are required to facilitate one-on-one attention and are required to find creative solutions for keeping campers engaged and enjoying the camp experience. 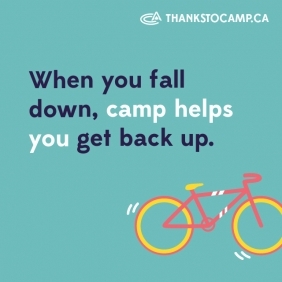 Counsellor’s close relationships with campers often require Counsellors to help provide personal support to individual campers (bedwetting, brushing teeth, etc). Counsellors have long but rewarding work days with their campers. Therefore, Counsellors have the largest impact on individual campers and their camp experience. To maintain a high standard of care, Counsellors are responsible for teaching and enforcing the HOC Principles of Respect to campers including safety expectations of camp and general activities. Counsellors ensure that both campers and staff in the group follow proper equipment use and safety regulations. Water Ski Counsellors spend their activity time down on the ski docks, teaching classes and assisting our Water Ski Instructors. Water Ski Counsellors work in the Hawks, Ranger, and Senior Sections, assisting specifically with the Overnight Water Ski Program, helping to shuttle campers to and from programming and ensure the smooth operation of the program. Water Ski Counsellors should have an interest in pursuing a Ski Instructor position the following year at HOC. Supervise and instruct Overnight Water Ski campers, during their transition time between the section and their ski time (1-2 hours daily). Assist with weekly camper evaluations. Directly supervise single cabin group of 8-12 campers and cooperatively an entire section of 30-40 campers. Interest in water skiing and becoming a HOC Water Ski Staff Instructor. Canadian Water Ski Instructor's Course (CWSIC). Course enrollment available upon hiring.